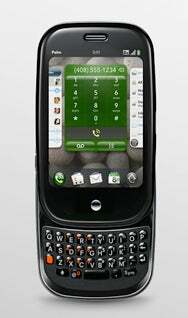 Despite only announcing its pricing and availability earlier this week, Sprint appears confident that the forthcoming Palm Pre smartphone will be drawing iPhone-sized crowds when it debuts early next month. You see, that’s the whole reason they’re not advertising it heavily. Is it true? Is it a ploy? Both the original iPhone and iPhone 3G saw long lines at their launch events, though it was often still possible to swing by the stores on subsequent days without any trouble. Of course, Hesse’s statement neatly sidesteps the real interesting parts of the issue: namely, how many Pre units will be available, and what Sprint and Palm consider to be high demand. For example, it’s one thing if Palm’s producing 100,000 units and Sprint is expecting 200,000 potential customers—it’s quite another if they make 1 million units and expect even 1.5 million customers. That is to say: are they expecting shortages because production is slow, or are they expecting shortages because of truly high-demand? Of course, there’s also the PR benefit of shortages: the scarcer the device, the more attention it will get. For example, the original iPhone sold 270,000 units in its first thirty hours, and was somewhat of a rarity, compared to the iPhone 3G, which sold 1 million in the first weekend of its availability and seemed to be everywhere. One thing that might slow the purchasing of the Pre is the device’s $100 mail-in rebate. However, retail giant Best Buy announced on Wednesday that it would be applying the rebate at the time of checkout rather than via mail, insuring that the blue and yellow stores will probably be the place to go to get a Pre with minimum fuss.